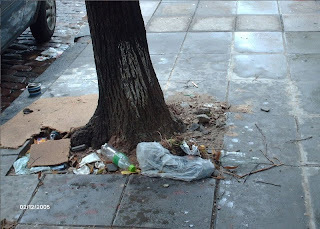 Argentina, Buenos Aires has been utilizing SeeClickFix to help better their community! Issue #13240 reported trash outside a local convenient store. The citizen recently reported that a trash can was placed outside for customers to throw out their trash. Problem solved! In Buenos Aires, 67 issues have been reported and 47 have been closed. 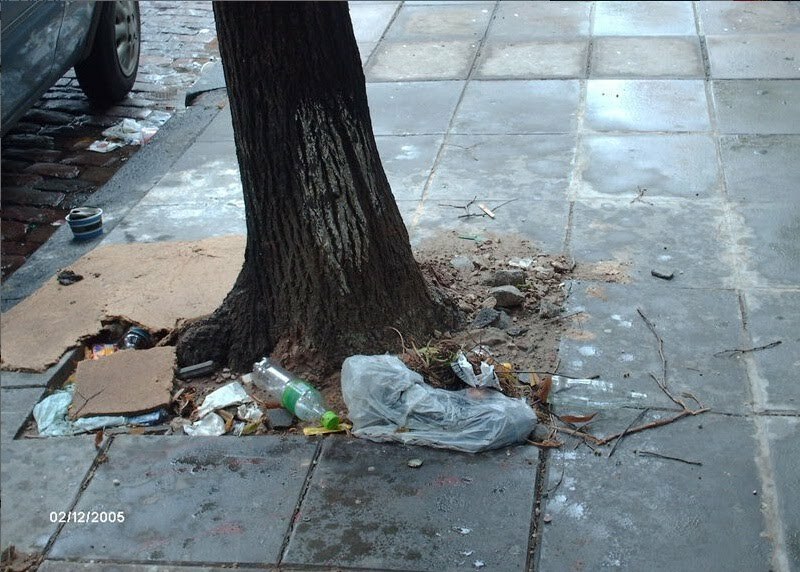 Issue #13240 is just one example of how communities in Argentina are utilizing SeeClickFix to come together and improve their environment. The Washington Post recently investigated SeeClickFix issue "Tree Removal" on their Daily Gripe. With the help of SeeClickFix, user Jason Anderson reported the fallen trees in Anacostia and got a timely response from DC 311. Jason reported, "we have a dead tree whos limbs break and fall, I have conted DCRA, MAYORS office and DPW nothing has been doe since the big snowlast Feb recently a branch fell and hit a child playing on the side walk, I call 311 got no help, I sent pics to show we wave a deaf child on this street still no help." After investigation, the Washington Post found two interesting facts for its citizens. First, issues regarding fallen trees on public property should be reported to the Urban Forestry Administration, a division of the District Department of Transportation. Second, for debris removal, citizens should report to 311 where the Department of Public Works will work to address and clean-up debris in public property. The Washington post says that "Yes, we're confused too." What lesson can be learned through the Washington Posts's investigation? It's helpful for citizens to also become familiar with their own public officials so they know who to follow up with when they have a problem. This way both the community and government officials can more efficiently engage with each other. About 6 months ago we met Brandon Jackson, an undergrad at Yale University. Brandon was not only excited about SeeClickFix but had the skills to jump on the team part time to develop our most recent iPhone app. Brandon has developed a very sophisticated application with a host of new features that's faster and more stable than our previous version. Not only did he create the tool but he also designed and led the vision of the project with our CTO and CoFounder Jeff Blasius. Its been a pleasure working with a developer who understands usability and the true value of SeeClickFix: Connecting people locally and getting concerns in the public space addressed collectively. Brandon will continue to work part-time for SeeClickFix in the interim before he heads back to Yale. The SCF community thanks you Brandon. Check out more about Brandon here. Last week the Oakland Press reported that a former dry cleaner and adjoining businesses have been demolished. The buildings were found to be dangerous to the environment and to public safety. The issue was first reported 2 months ago on SeeClickFix by community activist and member of Citzens Against Blight, Mona Hofmeister. Mona explained, "There is a abandoned old dry cleaners on E Pike between Sanford and Tasmania St. that is wide open. I've seen kids and adults leaving and entering this building. I think it should be secured and boarded up. It's very dangerous for the community". "My pleasure, Mona. Thank you for being so diligent - you are an invaluable asset to your community.Keep in touch and let me know of any other environmental concerns in your area. Well we thank Mona and Christy for being great examples to the community! We are very excited to announce the release of our new iPhone app in the itunes store. The new app is faster, stabler, prettier and has a host of new functions which you requested. Download the new app here and please rate it in the itunes store honestly. We really want the feedback. We really want to thank Brandon Jackson who did most of the work on this application in his time off from Yale this semester. He's a great example of why it pays to start a company in New Haven, CT ! Saturday night I was a passenger in a car that was halted on Chapel Street in New Haven behind a couple of cars who were attending to something on the side of the road. When we finally were able to see what was causing the hold up we realized that there were some people checking out a stray pitbull on a leash. We decided to let them assist but I quickly posted the loose dog on SeeClickFix in hopes that the owner might find it. The ensuing response from neighbors was really amazing including two who actually went out and took a look for the dog. When we are connected and informed we are safer and stronger as a community. Its always exciting to reap the benefits of a tool you helped to create. This is why I love SeeClickFix. Code for America, the Project On Government Oversight and the Sunlight Foundation. people' to a new level." offered limited channels of communication,” said Jacobsen. Gannett, SFGate, Philly.com and Boston.com. As the winter plows through, snow season continues to bring numerous unplowed streets, parking lots and icy roads. Mother nature hit the east coast last week with a huge blizzard, and she was ready to hit again last weekend. So why is SeeClickFix the ultimate snow storm tool? As snow plows gear up to clean up the new snowfall, SeeClickFix users can prepare by warming up their fingers and get ready to report their local snow issues through our SeeClickFix mobile app, clicking onto our website, or reporting through one of our widgets. Once the issues are reported, local government officials that are monitoring their city or town will be notified! So who is ready for this snow storm? The Trentonian recently published an article giving their users a snow survival guide and suggested that once the snow storm blows over, users should turn to their SeeClickFix map widget to report unplowed streets. Keep ahead this snow season and use SeeClickFix to help keep your streets plowed and safe! "At the end of the day I'd like to have a campaign where we talk about how we can invest our resources in a way that empowers the greater community. I want to be able to empower citizens and businesses to find ways to work together to achieve things that we all want to see." Replace the word “businesses” with “governments” and that would practically be the SeeClickFix mission statement! Paving the way for citizens to speak directly to their local leaders, we help to create better communities that everyone can enjoy. Thanks, Mike Kondratick, for advancing the vision of open communication and collaboration in your corner of the world. We look forward to being part of it. Lost your way on the streets of Vancouver? Need assistance crossing the road with your handicapped grandfather? Not sure where to find the nearest public restroom? Never fear -- just look for the guys (and gals) in the bright red shirts. They’re the Vancouver Downtown Ambassadors, and they’re here to help you. Equipped with cell phones, first aid kits, digital cameras, maps, and more, the Ambassadors bike and hike the streets of Vancouver on a daily basis, ready to aid persons in distress and to address “quality of life” issues like litter and panhandling. They are also charged with monitoring and deterring criminal activity on public property, from graffiti to illegal parking. The Ambassadors even partner with the Insurance Corporation of British Columbia by carrying handheld Casio computers, which track stolen vehicles, and in this way have recovered 5 - 10 stolen autos each month! In 2008 the Downtown Ambassador Program was honored with the "National Meetings Industry Award", presented by the British Columbia chapter of the Meeting Professionals International, in recognition for being such effective “eyes and ears” on the streets of Vancouver. The Ambassador Program is funded by the thousands of business and property owners in the downtown area. Ambassadors have played a key role in reducing drug dealing and other criminal activity in Vancouver’s downtown. If these red-clad civil servants weren’t awesome enough already, they recently flooded SeeClickFix with a storm of reports -- mostly related to graffiti -- which drew our attention to their awesomeness. Their account is only a few weeks old, and already they’ve reported nearly 150 issues! Looks like the Ambassadors are adding SeeClickFix to their arsenal of do-good weapons. It’s a perfect match -- since these folks are always on the go, it makes sense for them to use SeeClickFix for quick, efficient civic reporting. This is also a great example of how SeeClickFix can be a powerful tool for community groups (not just individuals). Neighborhood associations, formal programs like the Ambassadors, and other groups have a ready-made platform to aid in mass reporting or to monitor a particular area. We make sure those reports end up in the right place, so civic groups can invest their time and energy where it counts. We’re honored to be part of what the Downtown Ambassadors are doing for the streets and citizens of Vancouver, and look forward to hearing from them often. What does a New Jersey mayor have in common with celebrated Craigslist founder Craig Newmark? A leadership style that listens -- and replies -- to the voice of the people. 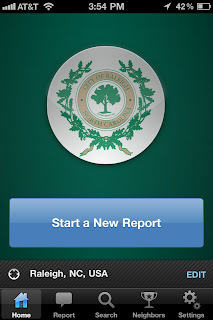 Specifically, James Anzaldi of Clifton, NJ has been responding directly to citizen reports on SeeClickFix. When residents see his signature -- “Mayor Jim” -- attached to a personal response concerning a reported issue, they realize he’s willing to be part of the process of community improvement, rather than just delegating the task to someone else. Similarly, Craig Newmark is recognized as being surprisingly responsive to correspondence from the general public despite his celebrity status. He created Craigslist to fill a need -- not to gain popularity -- and now remains accessible, ready to have a conversation with anybody. For that reason he is respected as a down-to-earth guy who doesn’t mind getting his hands dirty. Mayor Jim is bringing the same service-oriented philosophy to his hometown by creating a personal watch area on SeeClickFix, which he monitors and maintains as part of his service to the people of Clifton. We think Mayor Jim of Clifton is setting a leadership example, too. He cares about his community -- which encourages his citizens to continue their improvement efforts. In reporting issues to local authorities, it’s always nice to know someone is listening -- and willing to talk back. Keep up the great work, Mayor Jim! The “Idea Greenhouse” began with -- well, an idea. Specifically, the idea of “growing a creative culture in downtown Durham, NH by providing a space to connect people." Tom Elliott, digital evangelist and idea maven who lives and writes in Durham, realized the community was home to dozens of creative starters and entrepreneurs who were still working out of coffee shops or locked in their home offices talking to the walls. So he founded the Idea Greenhouse with a view to giving the creative community of Durham a physical home where concepts and projects could come to life, where conversations among smart people could spark even more progress. Elliott arranged for office cubicles, “drop-in” style workspaces, meeting rooms, a coffeepot and restroom -- in short, a workplace where people could connect and collaborate. The Greenhouse started small just six months ago, but experienced a huge response from the community and is now partnering with the University of New Hampshire in re-locating to a bigger and better idea-hatching space. Looks like Durham has the potential to become a hub of entrepreneurial energy -- because somebody had a good idea and worked hard to make it a reality. Check out our very own Ben Berkowitz from the 2010 BIF-6 Collaborative Innovation Summit which took place in Providence, RI this past September. Read Ben's previous blog post explaining the event! Booker’s use of Twitter is a great example of how it can be used to respond to citizen requests quickly and informally, but it’s by no means a great citizen service platform. Whether it’s SeeClickFixor Ushahidi, government needs to establish a centralized, two-way service platform in order to be efficient and effective during a crisis. When the next snow storm hits, people will know a) where to report an issue b) help resolve one or c) have real-time insight into how assistance is progressing. Get ready folks, pothole season has approached, and SeeClickFix is ready for it. Who else is ready? According to the Seattle Times, starting today, Seattle also prepared to address pothole season by sending out "Pothole Rangers" to make repairs. Thankfully, the citizens of Seattle can report their pothole issues straight through the SeeClickFix map widget that is embedded on the Seattle Times site. The Maple Leaf blog of Seattle helped publicize this upcoming pothole season by asking citizens to report potholes in their area. After making the request, according to Maple Leaf, "Suddenly, our Maple Leaf watch area on SeeClickFix.com lit up. A number of the reports are outside the neighborhood proper, but we all drive these streets." So, are you ready to report potholes in your community? Embed the SeeClickFix Map widget to your site to become fully prepared for this upcoming pothole season!